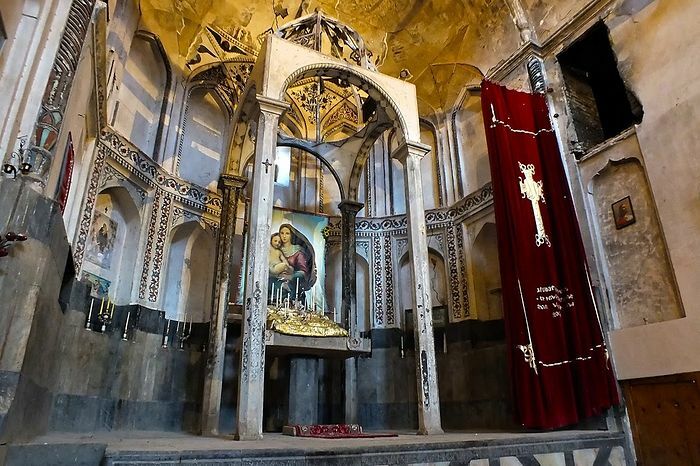 The contest, dedicated to the enduring spiritual and cultural monuments of the Eastern Christian Tradition, was organized at the proposal of the IAO’s Committee of Culture and in collaboration with the website OrthoPhoto.net, sharing beautiful photos from around the Orthodox world for twelve years. Monuments that have suffered man-made damage and destruction. The church made of bricks, with two altars, with a St. Nicholas’ chapel. The cost for its erection was covered by the parishioners on the spot of the old wooden church (seventeenth century). 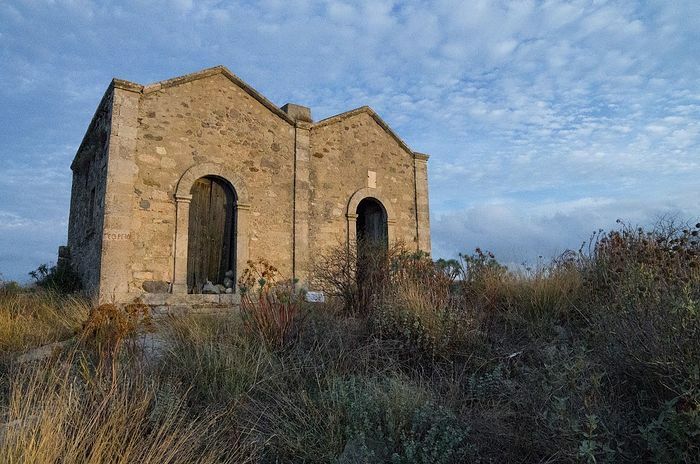 It is square-shaped, with five cupolas, two series of windows, an altar and a multi-level bell-tower. 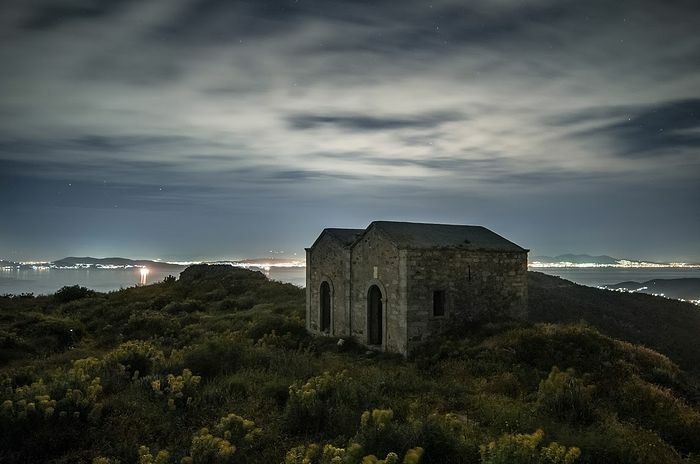 During the Soviet era, it was closed down and used as a storehouse. Currently, it is abandoned and destroyed. 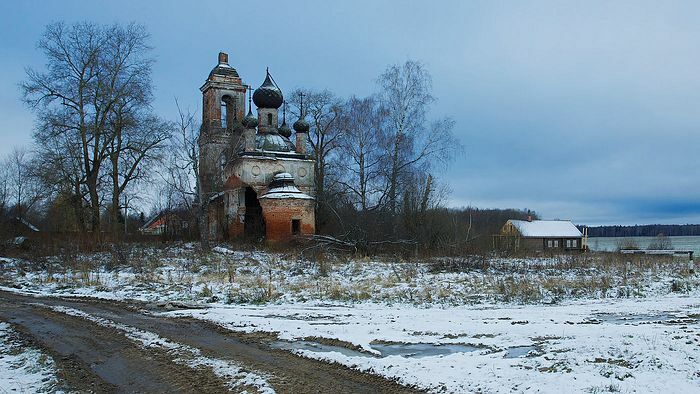 Up until 1764, the village was an estate owned by the monastery of Saints Boris and Gleb of Rostov. At the top of Paleochora hill on Aegina, the so-called ‘small Mystras’, is a castle built by the Venetians in 1654 and two large interconnected churches, the Twin Basilicas with two altars-entrances, of Saint Demetrios and Saint Georgios of the Castle, one for the Latin Catholics and one for the Greek Catholics. For pedestrians visiting the place, the view is fantastic; the area of Souvala and Aegina (the town) can be seen from there. 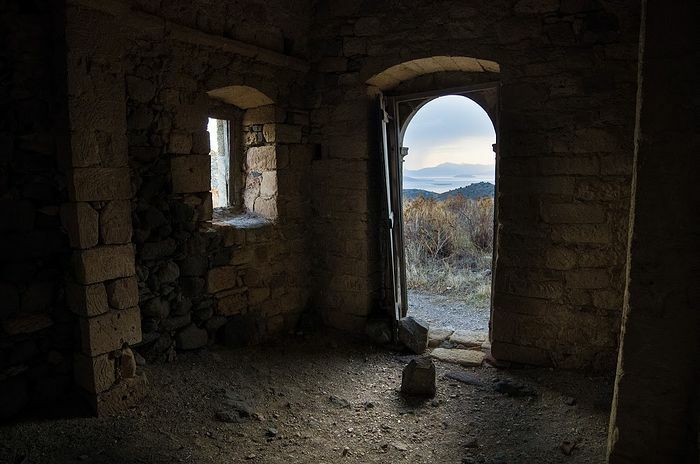 The signs of abandonment are visible, although occasional efforts have been made to save them. 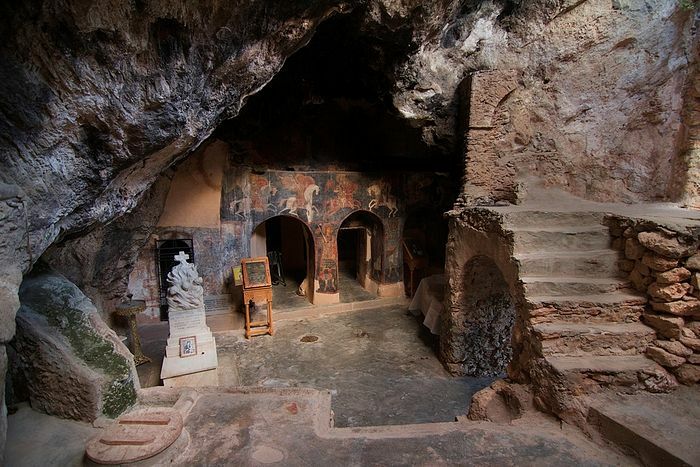 The Panayia tou Sindi Monastery was built in the sixteenth century. Only the main church has remained. 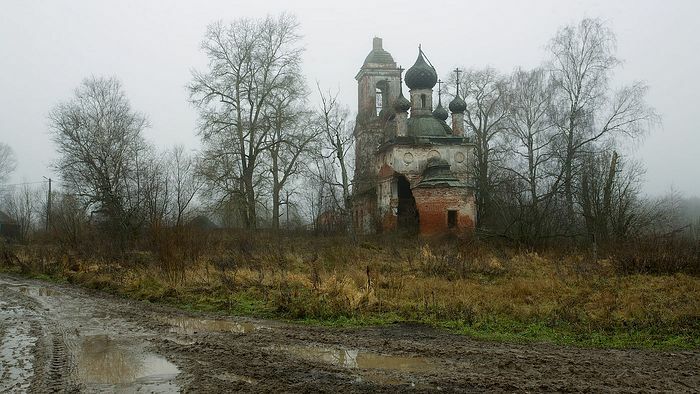 The rest of the monastery is almost completely dilapidated. Abukhalo Skete is mentioned in the “History of the Kingdom of Georgia” by Vakhushti Bagration. 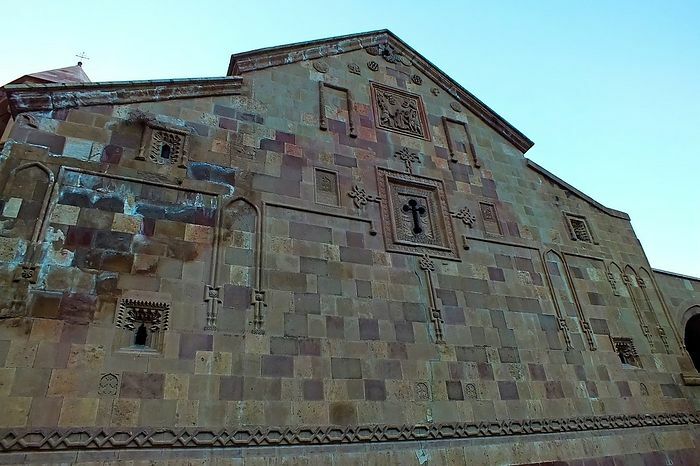 The monastic compound is located in the Kareli district, on the northern side of Trialeti Mountain, and dates back to the seventeenth-eighteenth centuries. 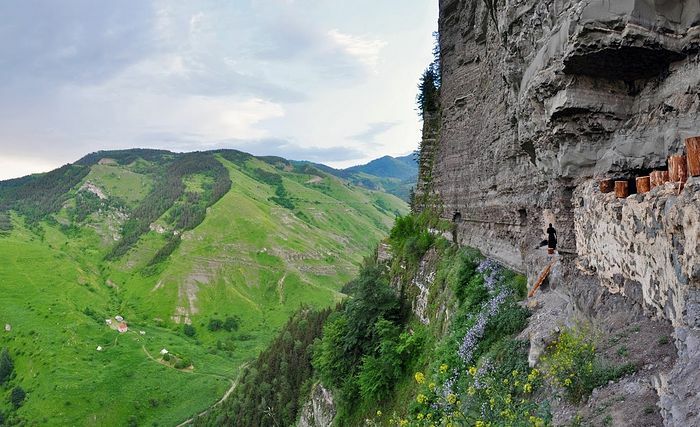 The skete consists of several caves of different sizes carved into the rock and is inhabited by monks, as it used to be in the past. 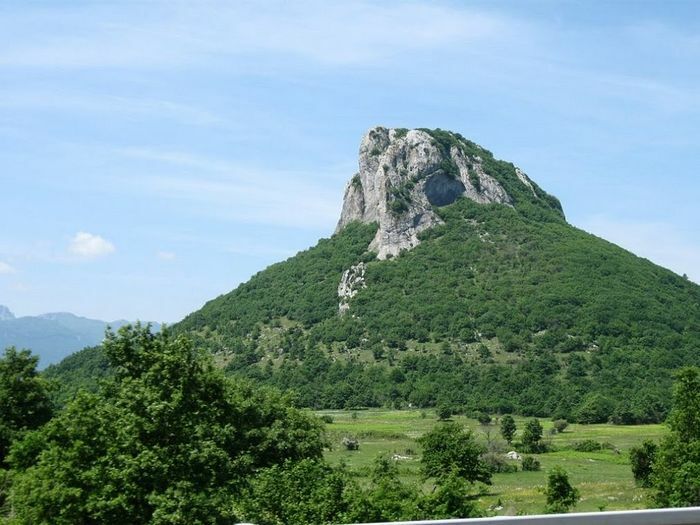 Goles is a village in western Bulgaria, in the Godech municipality of Sofia. 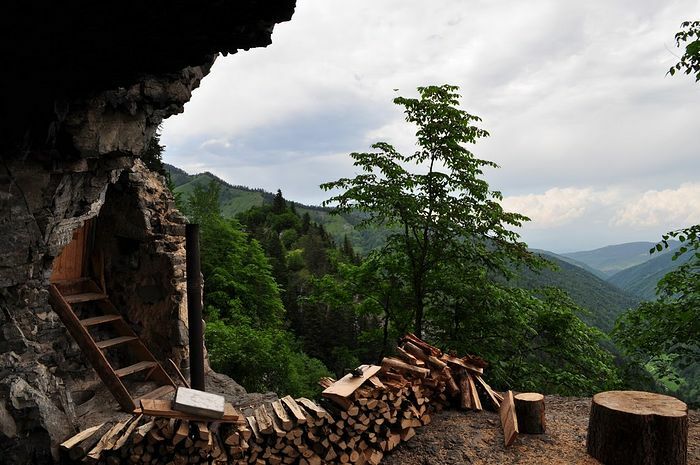 Goles village is located in a mountainous area to the south of Vidlic Mountain. 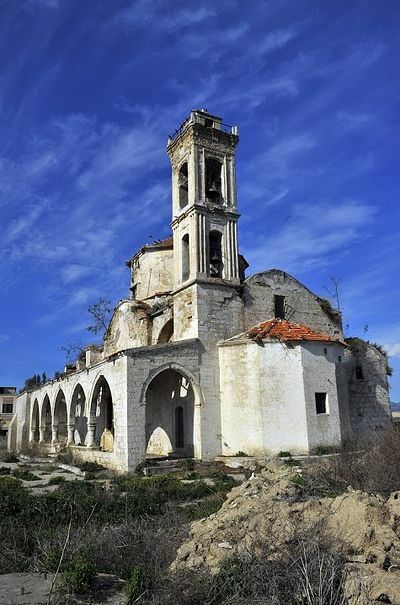 The church of St. John the Baptist that is currently operational was built in 1896-1900 and needs repair. There are a few votive offering-crosses in the village, dedicated to Saint Nicholas, Saint Elias, Saints Peter and Paul, and Saint George. 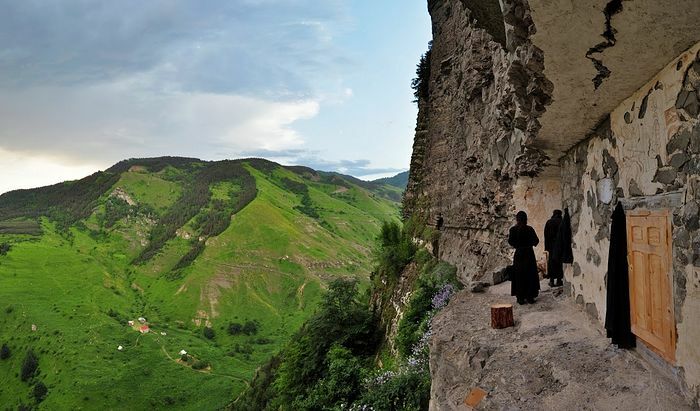 Above the village of Goles, the monastery of Saint Nicholas is being renovated. We do not know the exact date of its erection. 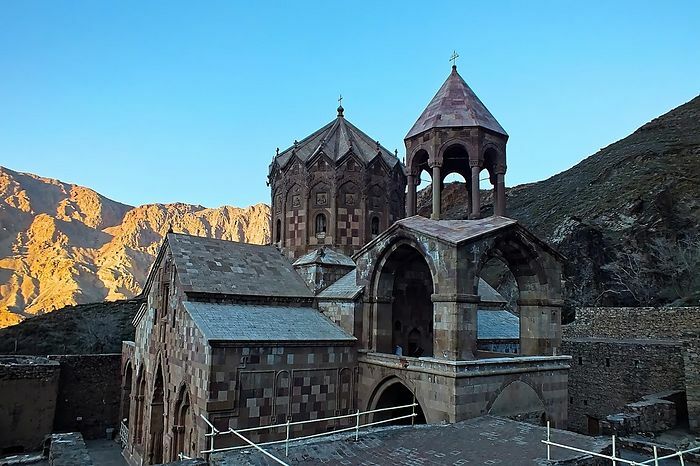 The St. Stefanos Monastery is an Armenian monastery about 15 km northwest of Tzolga city in the East Azarbaijan Province of northwest Iran. 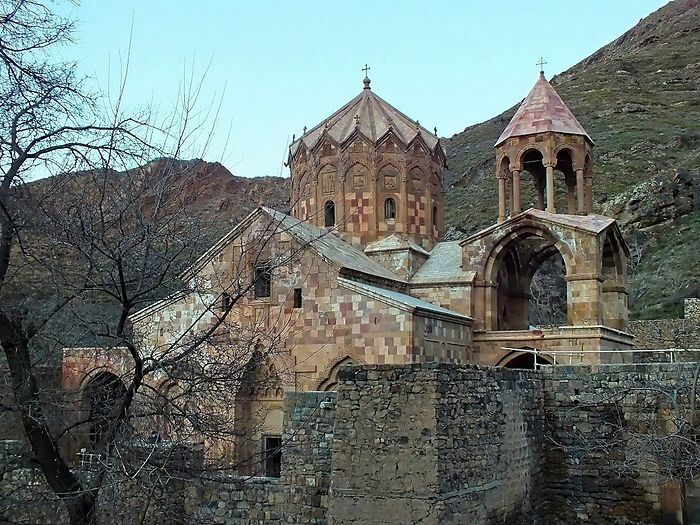 The first monastery was built in the seventh century and completed in the tenth century. However, St. Bartholomew first founded a church on the site around 62 AD. 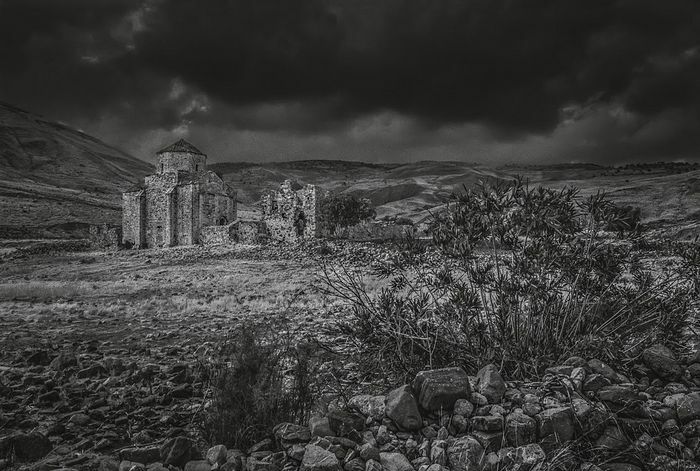 It was partly destroyed during the wars between the Seljuks and the Byzantine Empire in the eleventh and twelfth centuries. 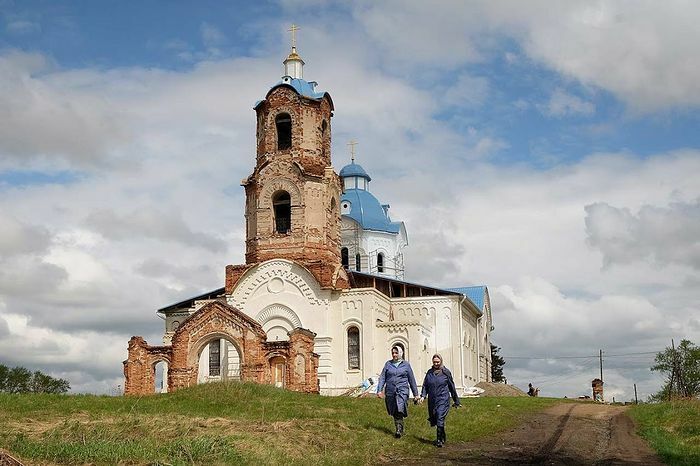 The church of the Holy Protection of the Mother of God in Bouzi village, to the north of the Chelyabinsk region, was built in the eighteenth-nineteenth centuries. It has three altars. Close to the church lies the abandoned building of the former school, a ground-floor building made of red bricks. It now houses the monks’ cells and a church. Currently, the population of the village is not more than one thousand. The church is on a hill and is visible from far away. The Sinara River flows under the mountain. 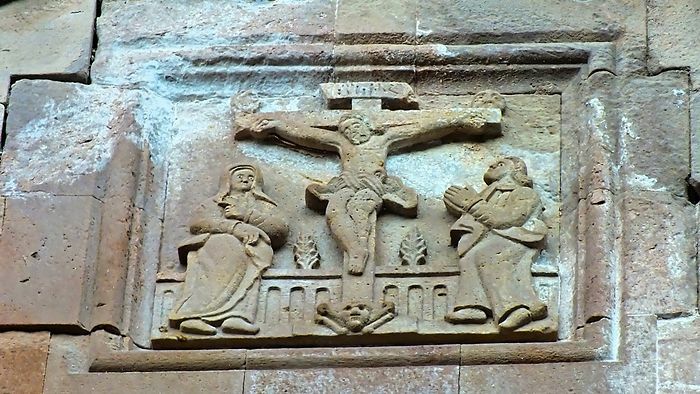 The Resurrection was celebrated there in April 2014, after a break of 80 years. 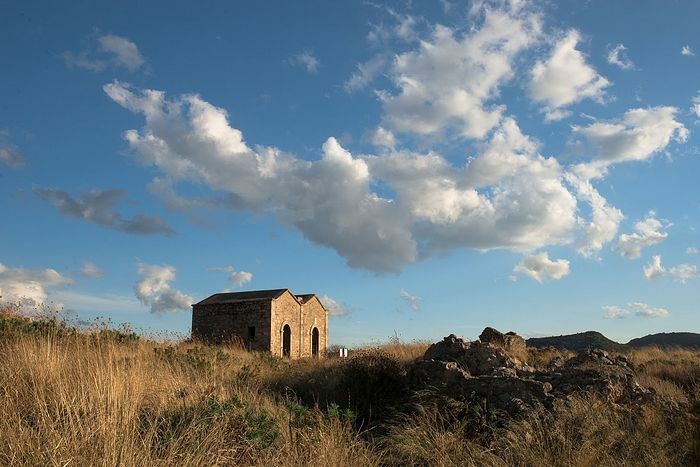 The church of the upper parish of Lefkoniko was dedicated to the Archangel Michael. 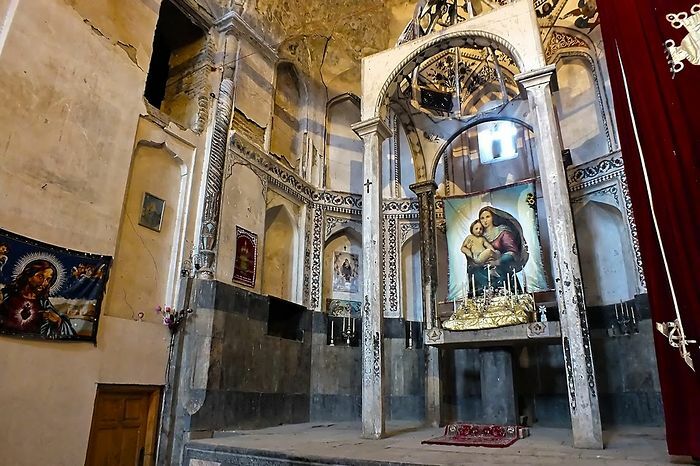 It was built in the early nineteenth century and had an imposing appearance, with an excellent wood-carved iconostasis and numerous Byzantine icons. The grandiose wall painting of the Archangel Michael was dominant in the interior of the church. All the official ceremonies and rituals of the community would take place here. 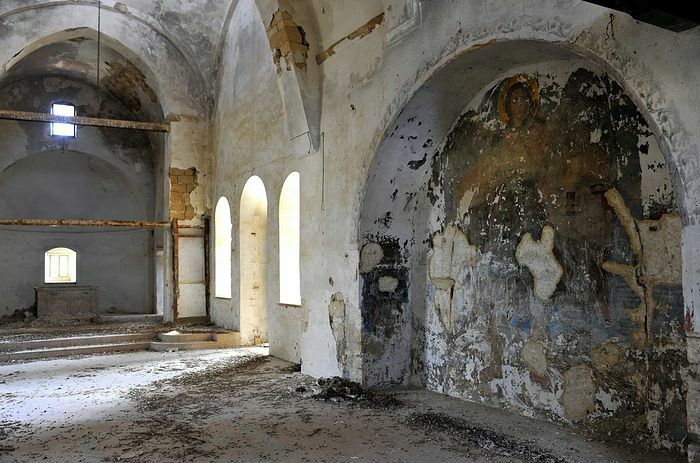 After the Turkish invasion in Cyprus, the church of the Archangel Michael in Lefkoniko village of the Famagusta province had the same fortune as several hundreds of other sacred monuments and sites of Christian pilgrimage in the occupied part of Cyprus: desecration and abandonment for forty-two years. 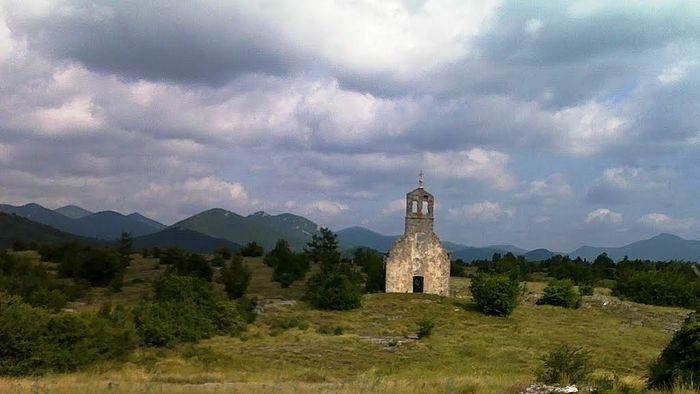 Kik village is located halfway between Gospić and Gračac, Lika, Croatia. It is a part of the village Ploče. 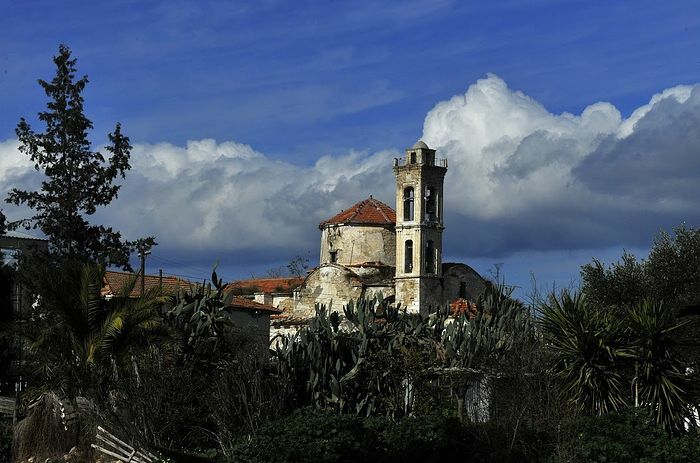 There is very little information about Saint Petka church in Kik, but it is known that it was moved in 1809 from the neighbouring village of Raduč since the latter got a bigger church dedicated to Saint Elijah the Prophet. 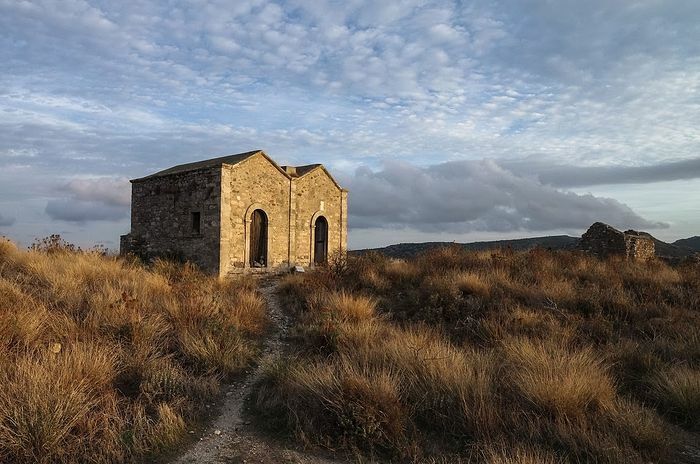 The Kik church used to be the filial church of the cathedral church, dedicated to the Descent of the Holy Spirit, in the village of Ploče. 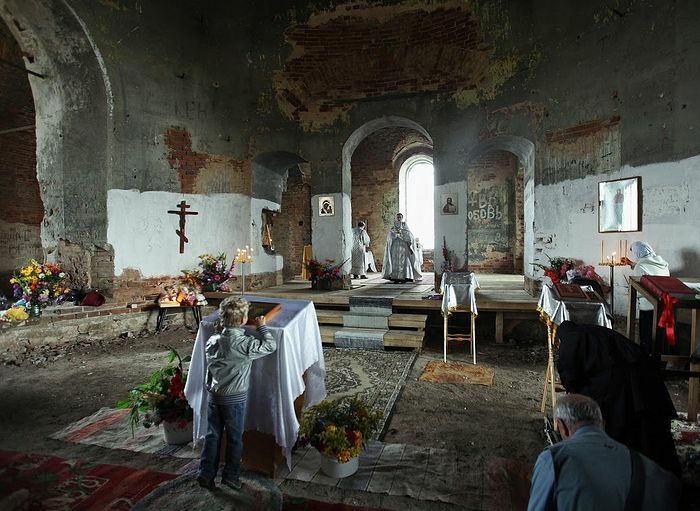 During WW II Croat Nazis destroyed the church documents about the parish so the most important information about its history is lost. 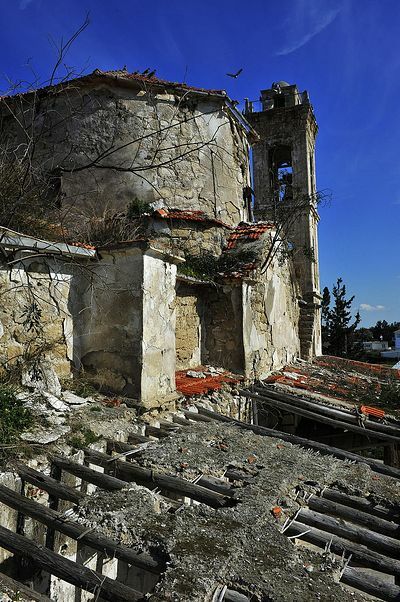 After the end of the war, the communists – the former parishioners, blew up the Ploča church, and used its stones to build community stables. They also burned down the Kik church, which remains devastated until today. 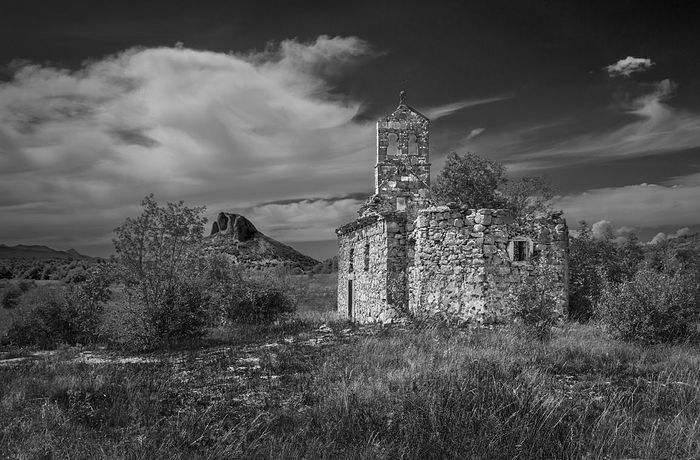 In 1995, during the war operation “Storm”, the Croats banished all the remaining Orthodox Serbs from the area, and there is nobody to reconstruct these two monuments. 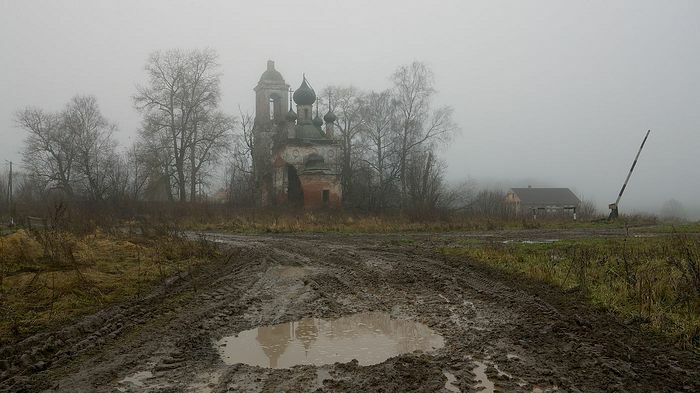 Time and the weather continue to damage the remains of the Kik church. 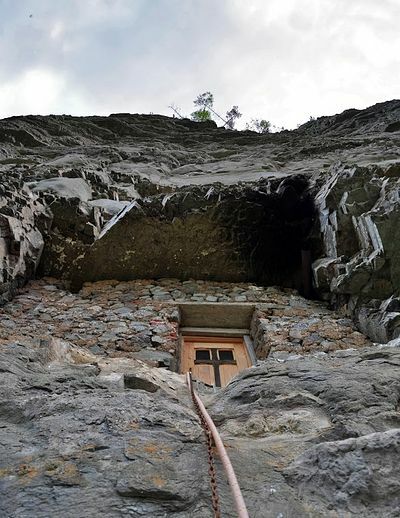 At Vrontamas in the Evrotas Municipality of Laconia, around seven kilometers from the “Kleisoura” settlement, at an inaccessible site of the gorge in the middle of which Evrotas flows, there is a cave that some monks had chosen in the Byzantine years to dedicate themselves to God. 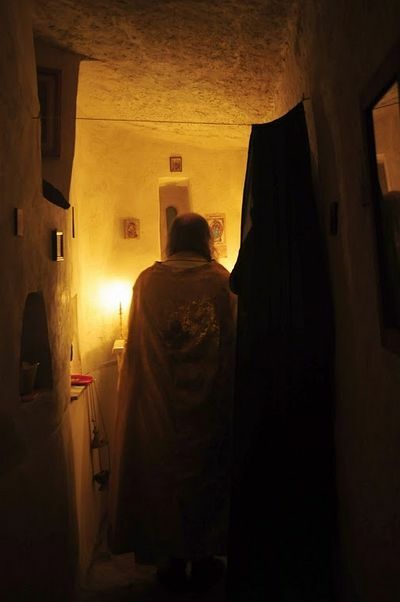 They established a monastery with a narthex, a main church, a small chapel, cells, rainwater tanks, ovens, and the essentials for an austere life. The church is dedicated to the Virgin Mary and the great martyr Nikita, while the interior is dedicated to St. Nicholas. 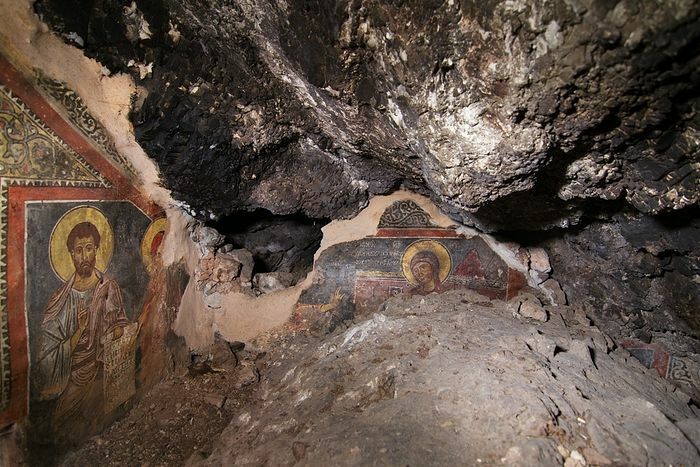 The wall paintings date back to the twelfth or fourteenth century (the bust-length Christ extending His hands in blessing), and those in the chapel are from the post-Byzantine era. 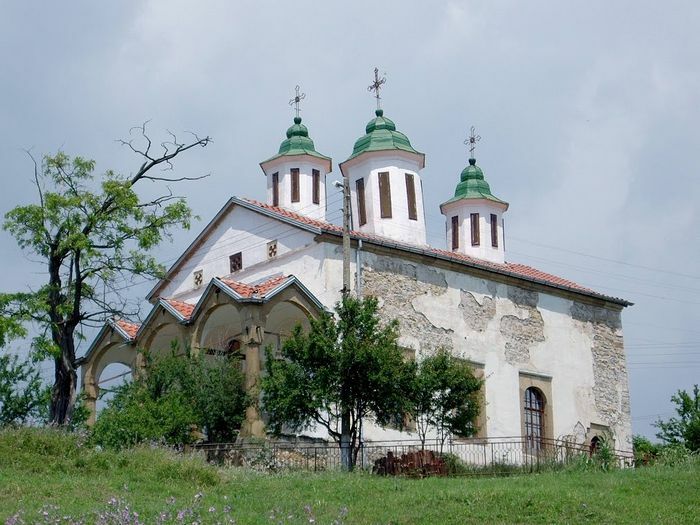 Due to the unreachable location of the monastery, the sacredness of the place and the need for protection from the Supreme Power, the inhabitants of Vrontamas, in September 1825, sought refuge there to escape the fury of the enemy and defend themselves with safety. 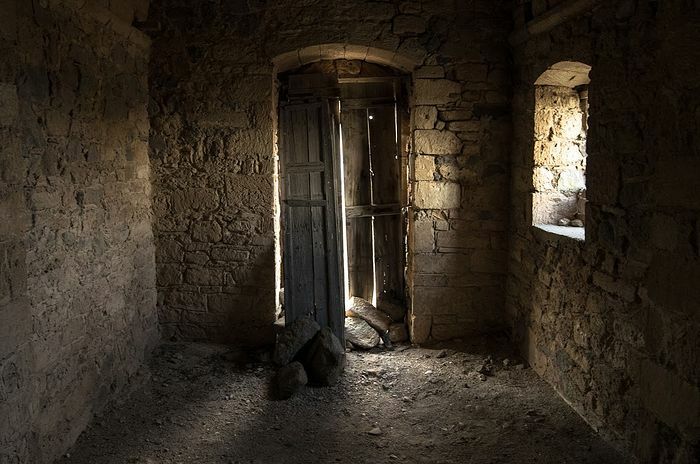 Ibrahim’s troops were tightly besieging the Christians, but the narrow space and the fortification of the castle brought only casualties to the besiegers. 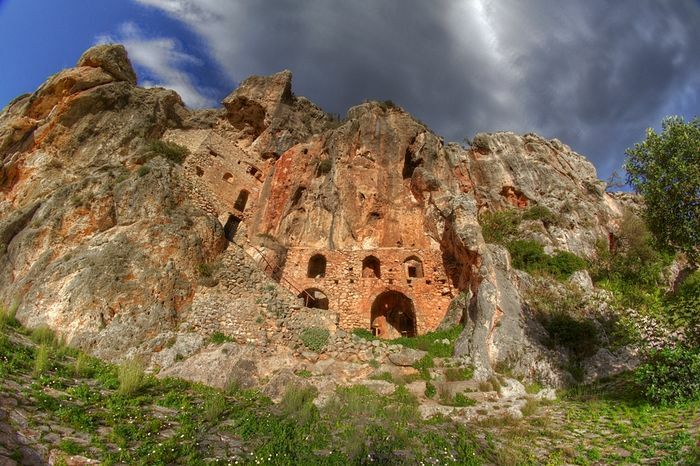 The furious raiders opened up holes at a weak point of the rock, placed explosives and blew up the monastery. The death was torturous, as the infidels brought in huge quantities of dry grasses and branches from the valley and placed them in the opening of the roof. 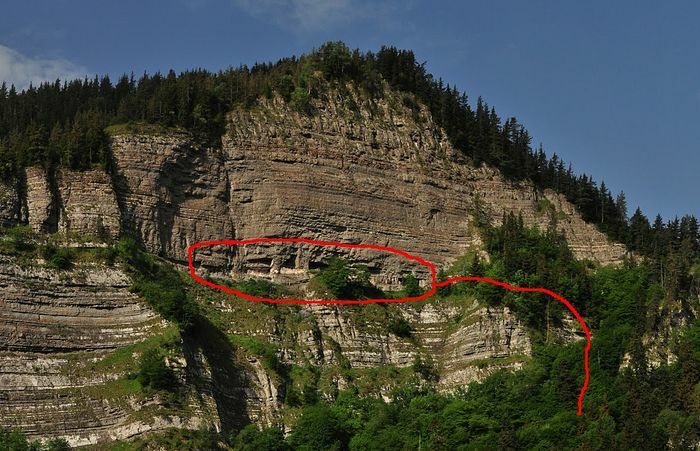 Using torches, they started a fire at the top of the mountain, causing a strong explosion that was lethal for those entrapped. This entry was posted in Orthodoxy All Over the World, Persecution, Suffering and Crucified Church, Photography and tagged Abandoned monuments left to the ravages of time, monuments damaged by weather or other sorts of pollutants and other natural elements, monuments of the Eastern Christian Tradition, Monuments that have suffered man-made damage and destruction., photographs of destruction of monuments, photography contest.